If you’re planning a funeral in Ampleforth, North Yorkshire then you’ll want to know more about what you should expect, where you should hire and what kind of ceremonies you can hold within the vicinity. On this page you can start to plan, find suitable funeral directors in Ampleforth and gain considerable insight into planning a funeral, all in one place. You’ll find a host of funeral directors in Ampleforth on this page, most of which come highly recommended and feature reviews from people who have used them before, many of which are members of the local community. Why choose a funeral director in Ampleforth? There’s a wealth of funeral directors in Ampleforth listed on Thomson Local, so if you’re looking for help planning a funeral for a loved one then you’ll find the help you need right here. The village of Ampleforth is one of historical relevance in South Yorkshire, with elements of its main church dating back to the 13th century. Located just 20 miles north of York, the name Ampleforth means "the ford where the sorrel grows", which is likely a reference to the sorrel herb which grows in the area. The area of Ampleforth in Yorkshire is surrounded by historic churches, each of which brings their own unique design, class and relevance to their local area. Many of these churches actually date back hundreds of years so are filled with architecture that is at odds with many modern day designs. If you’re planning a funeral in Ampleforth, there are a few churches which you might want to consider, we’ve listed ones that are located inside the village and also a few just out of Ampleforth’s boundary. 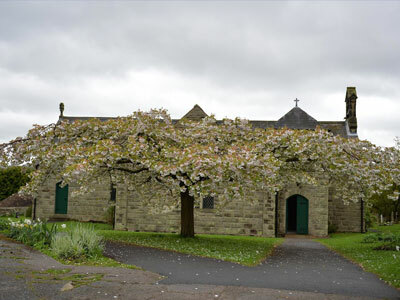 Located in the village of Ampleforth, Our Lady & Saint Benedicts Roman Catholic Church is part of the Middlesbrough Diocese and has been in the village for hundreds of years. If you’d like to find out more about the church, you can visit its website to read more details, get contact information and see if it’s the right fit for you. Named after the Saxon Abbess of Whitby, St Hilda’s Church was built in the 13th century, although church records actually go back further than that, back to the 12th century. Located on Station Road, near the centre of the village, St Hilda’s church also features a re-gilded clock, that has recently been updated. You can get more information about St Hilda’s church, including information on funeral services by visiting their website. Located in the nearby town of Oswaldkirk, the church of St Aidan’s is only a mile and a half away from the abbey that it serves in Ampleforth. Want to know more about St Aidan’s Church in Oswaldkirk? Then visit the website for more information including contact details. Located just a few miles south of Ampleforth on the B1363, the Parish Church of the Holy Cross Gilling East holds a wide range of services and is also close to the Fairfax Arms which could be a potential after-funeral wake venue. If you’d like more information on the services that the Parish Church of the Holy Cross Gilling East can offer, then feel free to visit their website. Located in Birdforth, St Mary’s Church is a wonderful and charming building that sits on the trunk road between York and Teeside. Find out more about this historic church by visiting this website that contains more information about St Mary’s Church in Birdforth. An alternative to burial services, holding a cremation at a local venue is now becoming an increasingly popular and affordable way to say goodbye to a loved one. There are a variety of reasons why cremation is becoming more and more viable but for any services, it’s worth weighing up what’s best for you and your family. You might discover that finding a crematorium in Ampleforth or the local area might be the best way to go. Wakes are usually held after a funeral or cremation service. The most common places for a wake are usually public houses, hotels or private residences, depending on budget and how many people might be attending. It’s difficult to ascertain exactly what type of venue would be happy to post a wake, so that’s why we’ve put together a list of potential wake venues in Ampleforth for you to browse through. Hopefully, you’ll find your ideal location below. A large, friendly and relaxed public house located centrally in the village of Ampleforth. Not only do they have a menu that represents value for money but also provide a warm and friendly atmosphere. Find out more and the White Swan and find out if it’s the ideal location for your wake by getting in touch with them. Located in Ampleforth, the White Horse Inn is a warm and welcoming village inn that serves home cooked food in a warm and friendly atmosphere. You can find out more about the White Horse Inn, the establishment, food and drink they serve or anything else by visiting their website and getting in touch with them. Set in the idyllic village of Wass, the Stepylton Arms is a highly rated public house that’s capable of providing local cuisine and refreshments and all served by a friendly team. There’s a whole host of information on the Stepylton Arms website in order to help you decide if this is the best place for an after-funeral wake. A beautiful country inn located in Gilling East, the Fairfax Arms is a local gem capable of producing wonderful food and tasty refreshments, all of which make it an ideal after-funeral wake venue for you and your family when mourning a loved one. Visit the Fairfax Arms website in order to take a look at the facilities and the menu as well as the contact details. Perhaps a bit of a different choice from standard wake venues but hiring out a lodge from Standford Luxury Lodges, located just north of Ampleforth, can provide a good-sized venue in the peaceful and tranquil woodland setting, away from any hustle and bustle. Find out more information on Standford Luxury Lodges by visiting their website. Flowers can help you to express emotion without even needing to open your mouth. They’re a powerful tool in expressing sympathy, especially at an emotional event like a funeral. If you’d like to purchase flowers from a reputable source or speak to an expert about what might be best for the occasion, then look below for a selection of florists in Ampleforth and the surrounding area. After a cremation, you have a decision to make when it comes to the ashes. While many people choose to keep them and display them in a place of prominence in a family home, you may decide to scatter your loved one’s ashes. Scattering ashes is becoming a popular way to end the funeral service, the only thing you must make sure you do before scattering is to ask for the landowner’s permission. With that in mind, we’ve put together a few ideas of beauty spots in and around the Ampleforth area that you may want to consider when it comes to scattering a loved one’s remains. 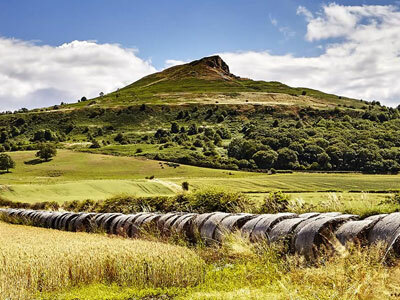 The North York Moors is a spread of loving countryside, idyllic grassland and natural beauty that stretches for miles upon miles. Many of its areas are wonderfully peaceful and able to offer you a respectful place to scatter the ashes of a loved one. Located just south of Ampleforth, this area of natural beauty takes its name from the Howard family who still own the local land. A picturesque landscape, its breathtaking views are extremely unique and make it an enticing place to visit and explore. 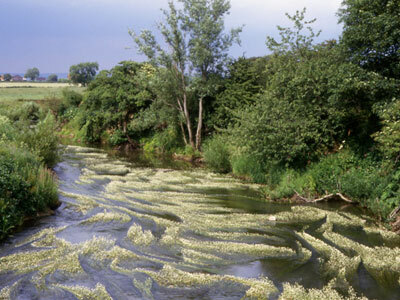 The River Rye passes through numerous towns in North Yorkshire before joining the River Derwent near Malton. With a basin size of 330 square miles, the River Rye ventures through a large portion of woodland and natural beauty. 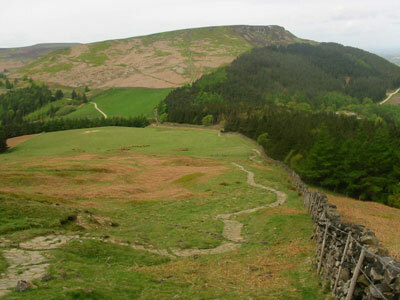 At 1454 feet above sea level, Urra Moor is the highest Moor in the North York Moors. Its name is a mix between old English and old Norse and translates as ‘Dirty Hill’. While it might not be the most flattering of names for such an imposing landscape, its views mean that it’s worth the effort to venture up its slope. 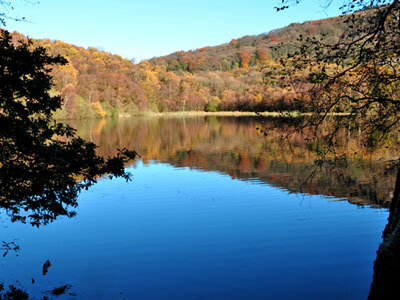 A natural lowland lake that calls the bottom of Whitestone Cliff home, Gormire Lake has no major inflow or outflow of water and despite its tranquil setting, the name Gormire actually means ‘filthy swamp’.